Emerging T.O. : Is 2015 the last year for real estate growth in Toronto? Is 2015 the last year for real estate growth in Toronto? I've just read it again. 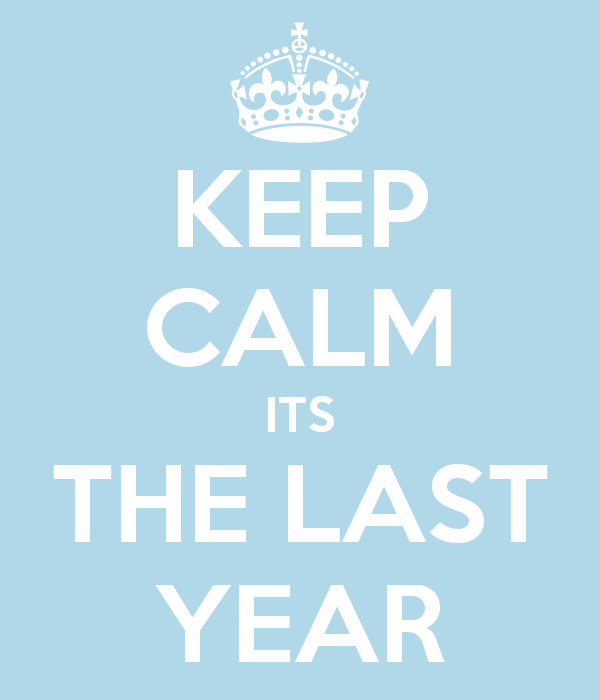 The "this is the last year" thing. This time I read it in the Toronto Star, but it could have come from anywhere, beit a national newspaper or that guy at the water cooler who thinks he's smarter than every one else. If you are not familiar with this phrase and how it pertains to real estate, then let me explain. "This is the last year" goes something like this: Home prices will continue to rise for 2015 but will stabilize in 2016. 2015 will be the last year of significant price growth in real estate. Fair enough. That seems reasonable to me. The housing market may very well unfold this way. It would make sense that after a sustained period of growth, prices would stabilize, or as some may believe, plummet from the sky like a plane with too many birds in its propellers. The thing about the "last year" thing, it's been something I have been hearing every year for over ten years. When I bought my first place in 2004, I read in the Globe and Mail that that would be the last year of the Toronto's great real estate run. At the time, it made sense. Interest rates were going up. It looked like I bought at the top of the market. I didn't lose any sleep over it, but it worried me. Then, as you know, the next year prices still went up. My sister bought her first place in 2006. I remember my brother-in-law and his father, two great guys who are deeply plugged in to the world of finance telling my sister to hold off on her Toronto home purchase. Homes were at their all time high and interest rates will not go any lower. They could not believe that houses cost $450K. Outrageous! My sister still needed a house. She was about to get married and have a kid. There was no waiting. Again, there was no real estate change the next year, prices went up. In 2008, this had to be the year of the collapse. The sky looked like it was truly falling, but after short blip of a downturn, the market was going up again. Much of the rest of the world certainly saw prices fall in real estate, but not Canada. Perhaps it was delayed here. In 2009, 2010, basically every year up to and including 2015, I have heard or read that real estate prices would stabilize or collapse in Toronto in the next year from Maclean's Magazine, Toronto Life, the IMF, German Banks, American think tanks, Garth Turner, and crabby people who comment at the end of real estate articles. But it didn't. I'm not saying in can't, but it didn't happen every time these so called experts declared it would. Here is my take on this "last year" approach: It's an easy thing to say. In fact, I think I may have said it myself a a few times. It becomes hard to believe that prices will continue to go up year over year because it does not seem sustainable. If you look a year ahead, you would assume it would slow down. The truth is that no one really knows when the real estate market will slow down. It's not a science. There is also the possibility that there has been a fundamental shift in Toronto with how we spend our money on real estate. It's true that low interest rates have made prices much higher, but there is a change in Toronto. We see much more foreign investment who prefer to buy in a "stable" real estate market. This sends prices up. We see a growing city that does not build any more houses making houses a very desirable commodity. We see that people desire to live in a city centre and not the suburbs any more. The opposite was true 20-30 years ago. Now, the city is more and more appealing, but there's no room to expand. I don't believe Toronto home prices can continue their huge climb as they have been for the past several years, particularly houses, because condos are more reasonably priced and have seen smaller increases. Still, I do think there's has been a shift in how we live in this city. People pay more for less space. This is why the parks are now overflowing with people. Will 2015 be the last year of growth for Toronto properties? Maybe, maybe not. But I guarantee if it isn't, the all the real estate predictors will be telling us that 2016 will be the very last year for growth until 2017 comes along.